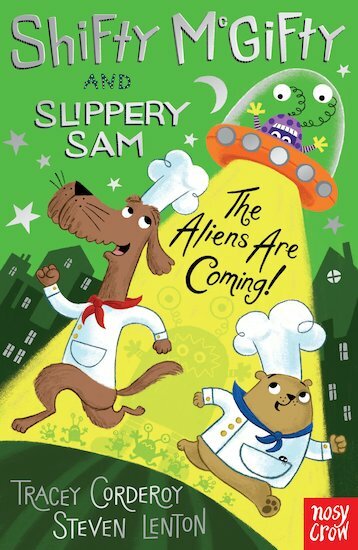 Buy Shifty McGifty and Slippery Sam: The Aliens Are Coming! Use Rewards for Shifty McGifty and Slippery Sam: The Aliens Are Coming! Summer is in the air, the sun is shining bright – and business is hotting up for our favourite doggy detectives. So join them as they tackle some baffling beachside cases in three more rib-tickling stories. For starters, someone is cheating in the sandcastle contest. And there’s something FISHY about the new seaside cafe, too. But it’s the alien invasion that REALLY makes them lose their cool. Phew! Anyone for an iced bun?